Rare is the man (or woman) who squeezes numerous experiences into one lifetime. Rarer still is the person who isn’t afraid of failing at one – or all – of those endeavors. Yet both describe the late George Plimpton, a renaissance man whose 20th-century life crisscrossed an assortment of genres, most notably literature (as a writer and co-founder/editor of The Paris Review) and sports. And he wrote about it all. Now Plimpton, who died in 2003, is the subject of “Plimpton! 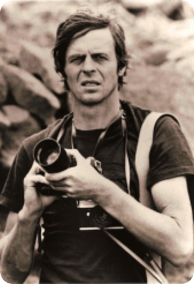 Starring George Plimpton as Himself,” a documentary film in the making. Jerry Barca, a Freehold, N.J., resident and former newspaper colleague of mine, serves as associate producer and actively markets the film, which is slated for release late 2011/early 2012.